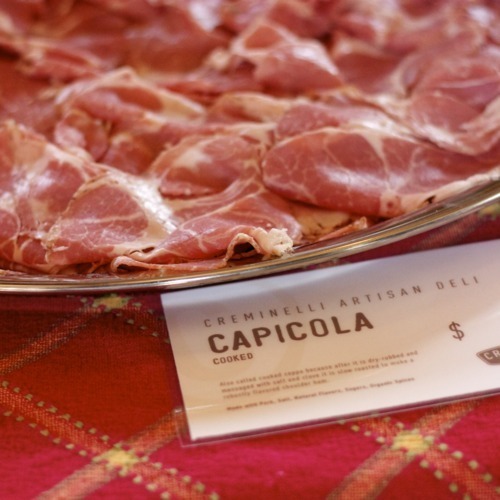 I was invited to attend the unveiling of Creminelli’s new large format line of artisan deli meats. 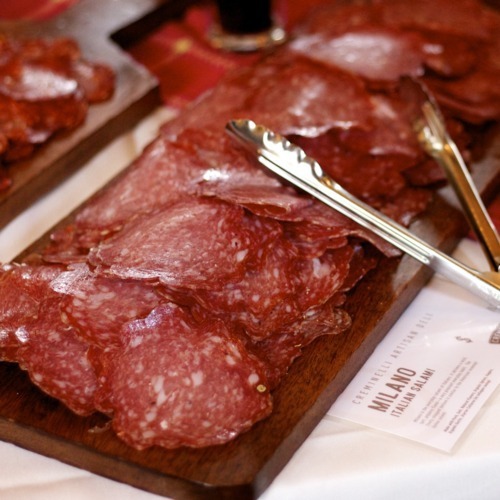 Cristiano has been developing these products for the past few years in order to enter the sliced deli meats category. His patience has paid off marvelously, because these new products are unbelievably tasty. I had an interesting conversation with Jared Lynch, one of the founders of Creminelli. He went into detail about the fact that Creminelli is a huge supporter of the certified wellness program. All of their pork is purchased from ranchers who have committed to treat their animals humanely, without antibiotics, and who have committed to feed the pigs a strict vegetarian diet with no unsafe fillers. They say that you can taste the difference in the final product, and I believe it. Cristiano told me about their new Salt Lake City processing facilities. Up until September 2010, they were operating in a small 6,000 square foot warehouse in Springville, Utah. They now operate in a 48,000 square foot facility near the Salt Lake airport. He told me that although they are not using all of the space at the moment, they will quickly grow into the space. Judging by the fact that they are shipping over 60,000 pounds (!!!) of salumi per week, I’m sure they’ll fill this facility in no time. It was interesting to hear Cristiano speak. His face lights up with excitement and passion when he talks about his products. He mentioned how lucky he is to wake up every morning work on his passion. 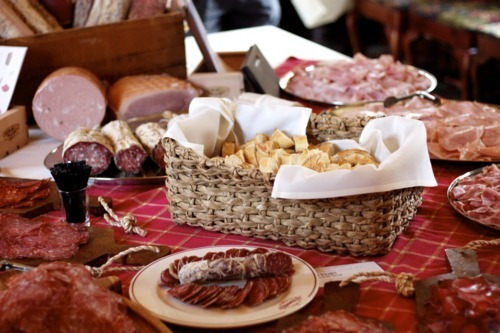 He is adamant that his salumi products in the U.S. are even superior to his family’s products in Italy (his brother and father still operate a salumeria in Italy). 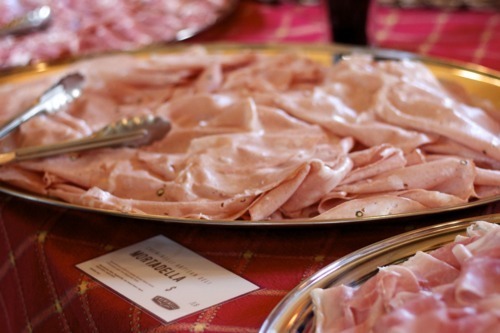 The superiority, Creminelli says, is due to the fact that the U.S. produces better, cleaner, and healthier pigs than they do in Italy. Superior quality ingredients going into the factory equals superior products leaving. 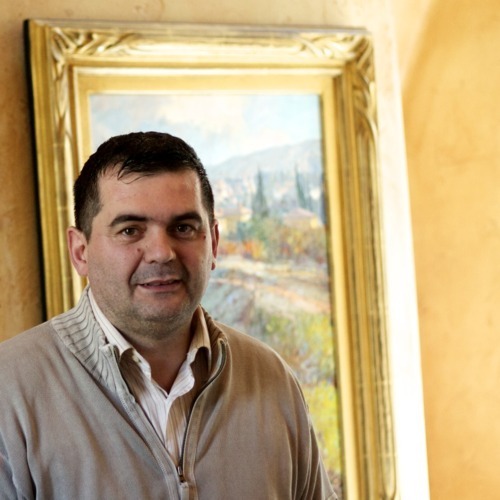 Cristiano’s family has over 400 years of experience in salumeria. Just like wine, there’s something to be said about centuries of experience in this field. Here are some of my favorites from tonight’s events. 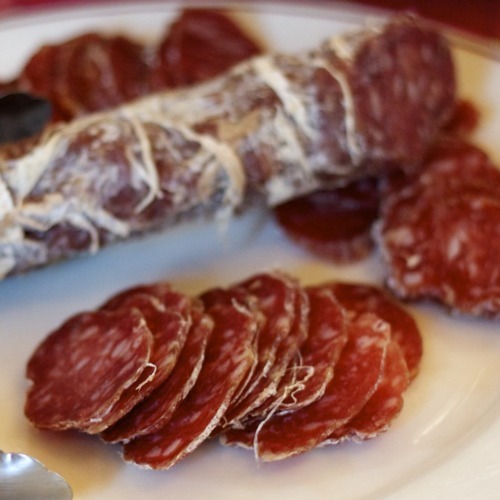 The Sopressa Salami is heaven in tube shape. Nicely salty with strong hints of garlic and wine makes this one of my favorite Creminelli creations. In fact, the Sopressa recently won a Sofi award. 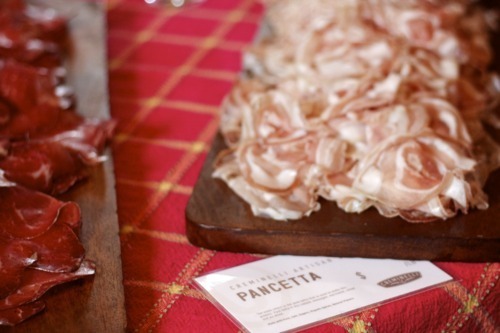 The Pancetta is tender, fatty, and buttery smooth. Put it in your mouth and it practically dissolves on your tongue. Made from pork belly, it is a tasty substitute for bacon in any dish. 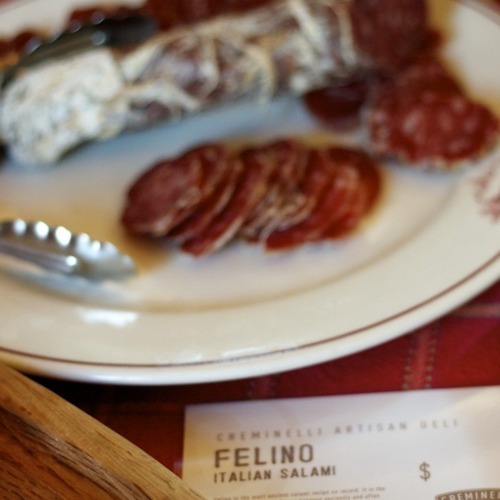 The Felino, according to Creminelli, is the most ancient salami recipe on record. It has a mild, rich flavor. 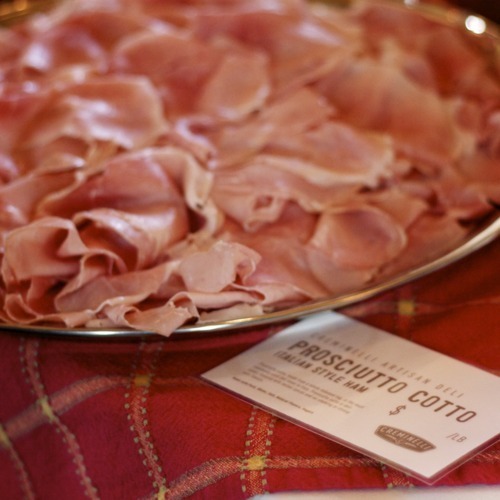 Definitely a favorite of mine and perfect for an antipasto plate. 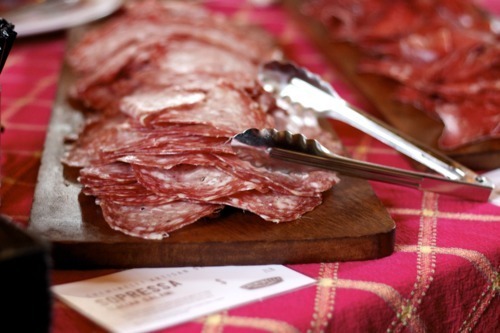 The Mocetta is made from the beef eye of round, and has a deliciously smooth, tender texture. 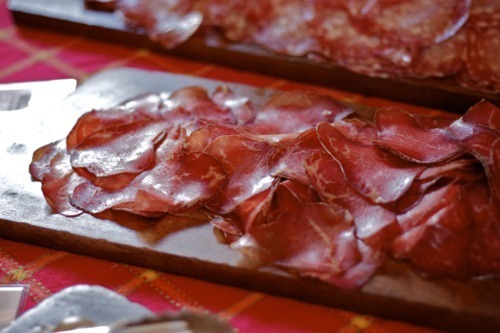 This is one of Creminelli’s few beef products, and it’s a favorite of mine. Creminelli’s large format line of products are available at many specialty shops throughout Salt Lake. Caputo’s, Liberty Heights, Whole Foods Trolley Square, and various Harmon’s grocery stores are now carrying these new lines. They have worked hard to price their products competitively with the market. 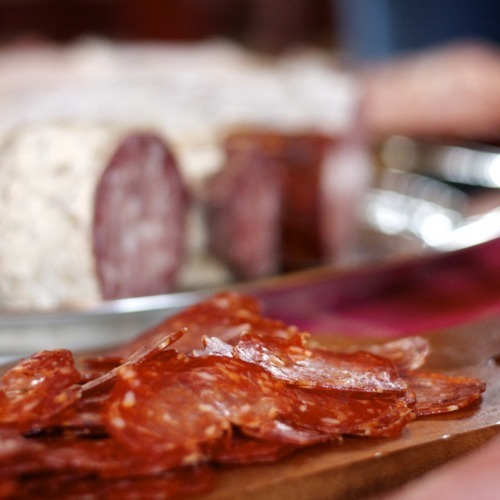 Cristiano makes, hands down, the best salumi in the U.S. Their pork is humanely treated and antibiotic-free. We are privileged to have him in Salt Lake City, so the next time you’re shopping, consider paying a few extra dollars to get high quality, local, artisan products instead of the mystery meat in a tube. You’ll be glad you did. For more information on their new product line, click here.